I recount my time spent covering the West Mosul operation from February to April 2017. Recently liberated area from ISIS that was being used as medical field clinic. Location was south of the Mosul airport. I’ve been able to travel to Iraq for most of my professional career, since towards the end of the American war and witnessing the rise and fall of the Islamic State once US forces left the country. It doesn’t feel that long ago, but I spent a lot of time covering the conflict from February to April in 2017. I was mainly capturing 360 video for different projects, but I always have a camera on me to take some photos. Iraqi Soldiers resting near Mosul airport, waiting for their next mission. The battle to retake the West Side of the Mosul was a long grueling operation and Iraqi Soldiers faced some fo the most intense urban fighting since WWII. 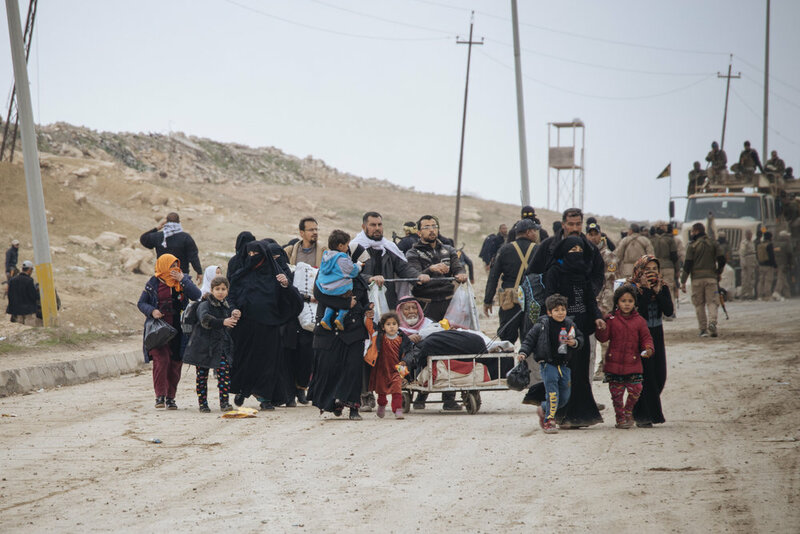 Nearly everyday you would see hundreds or at times thousands of civilians fleeing from the streets of Mosul and being picked up by Iraqi Army and transported to a screening camp. Civilians escaping Mosul were brought in by truck loads to a Hamam al-Alil camp, where they were being screened by Iraqi intelligence. One of my good friends who works for a local NGO called CNSF, helping to treat a young boys wound. I was able to follow along with a local non-profit called Critical Needs Support Foundation (CNSF). The founder (Ammar) was a good friend of mine since 2014, and I try to help when I can for media related needs. Ammar is one of the bravest people I know and is currently doing amazing things for his country. We spent many times on the frontlines together. 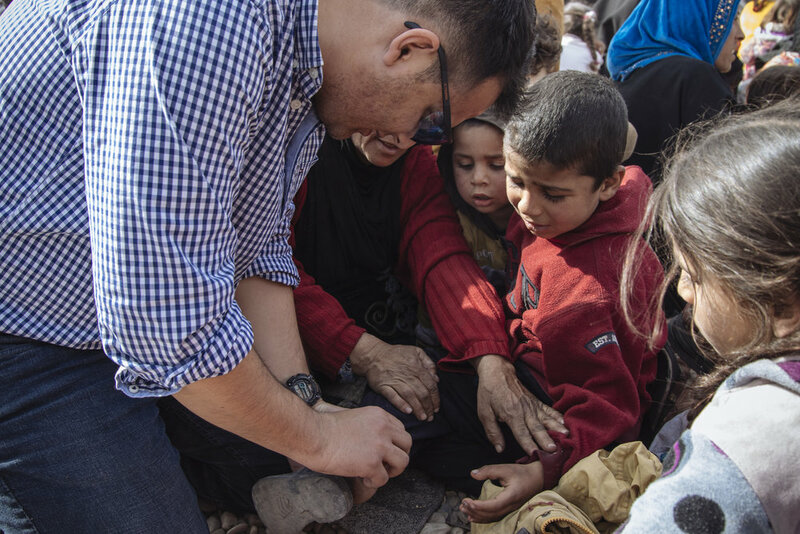 One day, on the way back from Mosul Airport, we decided to check out the screening camp for displaced people in a town south of Mosul called Hamam al-Alil. We witness thousands of people arriving by truck loads to this new camp. Children had no idea where their parents were and many were suffering some trauma and light wounds from crossfire. Two siblings in a displace camp, both were unable to walk and had to share a wheelchair. A young girl who just arrived to the camp waiting for her family members. 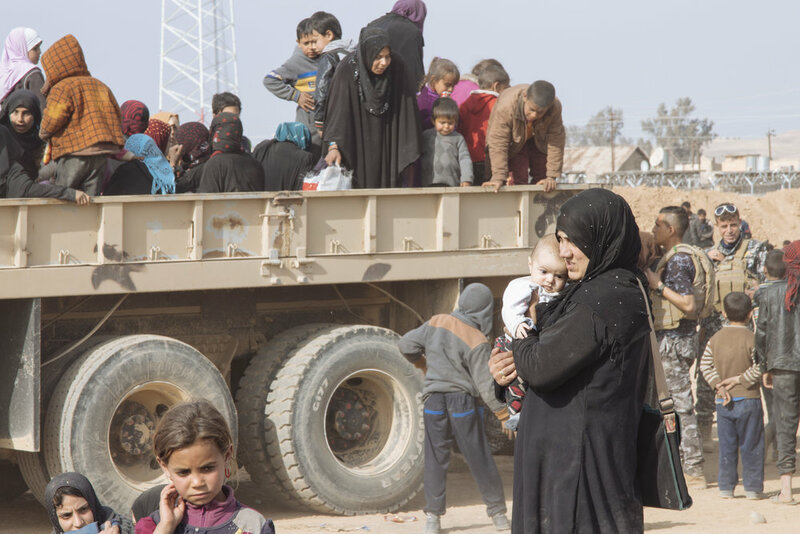 South of the Mosul airport, civilians continued to arrive from the city and transported to displaced camps. My driver friend with the sunglasses, helping an elderly man who fled from the fighting. Field Medic station in the Mosul Airport. Fighting to retake the West side of Mosul was very difficult for Iraqi Forces. ISIS were well equipped and motivated to fight, using many unique but dreadful battle tactics. USA airstrike hitting ISIS targets. 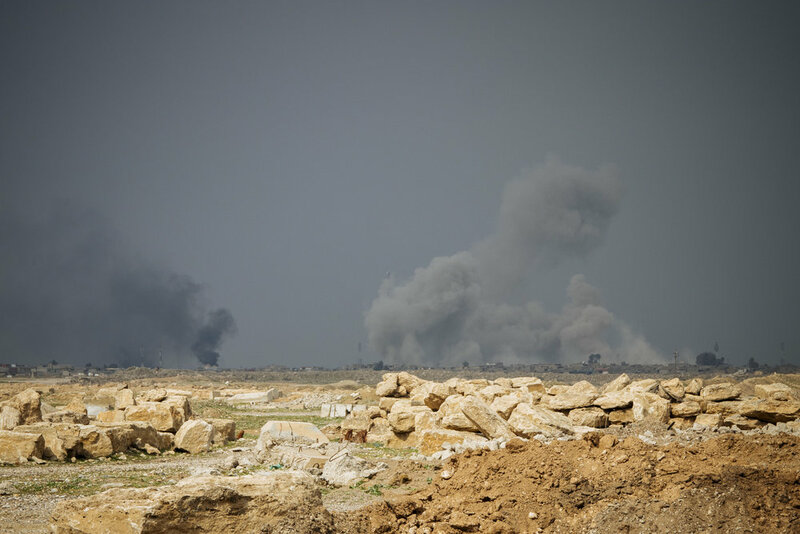 Photo taken from Mosul airport. Iraqi Forces captured a man accused of being ISIS and using carrier pigeons to inform ISIS mortar units to hit targets. During my time covering Mosul, there were very few days we didn’t see casualties. On the way back from the frontline, I came across a pile of bodies that were found in a mass grave left by ISIS. Local people and some Iraqi security forces helped reburied the unidentified bodies in a proper grave site outside of Mosul. 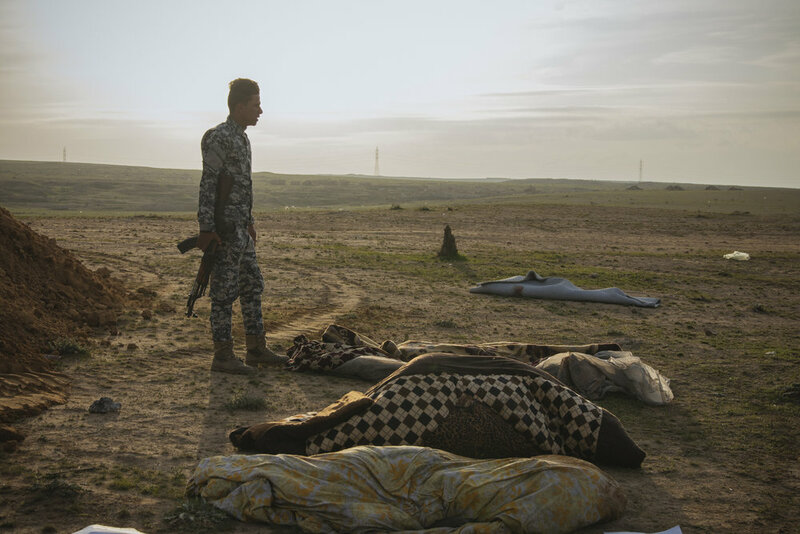 Iraqi Security personnel helps reburied bodies found in a mass grave left by ISIS. One of the bodies found was a very young girl. I continue to really process my time in Mosul, despite being already two years ago. Even though I witness extreme dangers and trauma, I was also able to see heroic actions by everyday people. 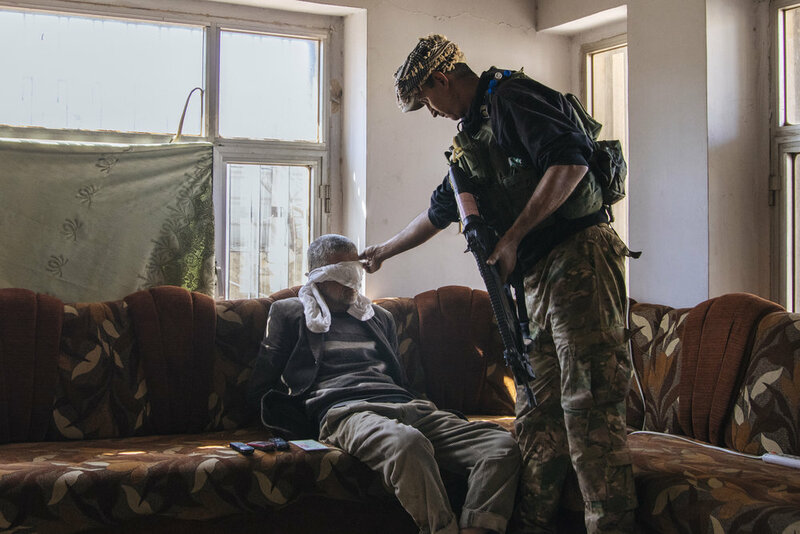 Most of my focus in Mosul in the early 2017 was shooting 360 video for Seeker about the brave medics working on the frontlines. Below are behind the scenes photos of myself and business partner filming on the West Side of Mosul in February, March and April of 2017.